Welcome to Surf Camp JohAnna! After the success of the last two years, we continue our journey. Book early and start getting ready! This year we have several dates end of May and beginning of June. For more details please take a look on our Surf camp page. Join us for an authentic surf trip with authorized beach access in Guethary and Biarritz. You will surf world famous spots with licensed instructors. Take the chance to discover the Basque culture and cuisine together with your friends. 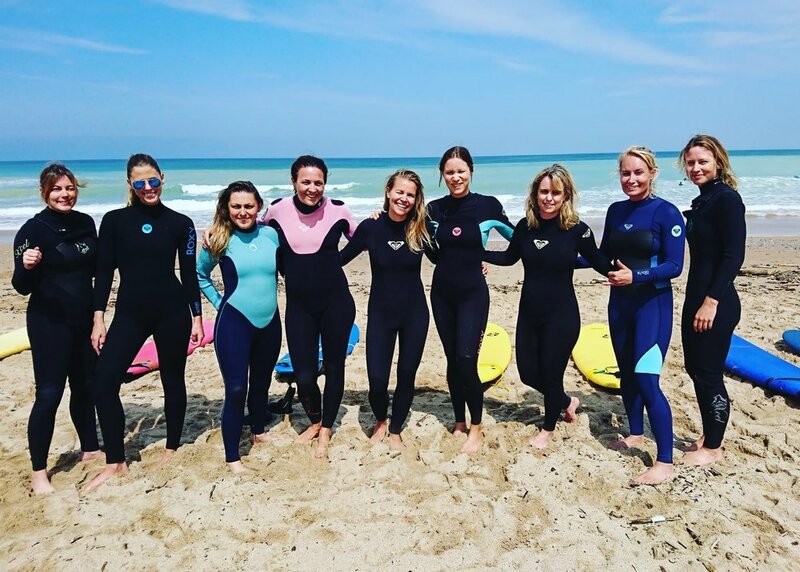 Send us an email if you are a group of friends or a company that would like to come and surf, then we can always suggest a package that suits your group. Below you will find the different camps that we offer, both long-weekends and weekly camps. However, you are more than welcome to contact us with a demand for your group of friends or if you are a company. Then we are very happy to suggest a solution that will fit your dates and demands. Have a look at this year’s set camps and let us know if you have any questions or go ahead and book in our shop. Read more and choose what’s best for you here.